Since more then 10 years, we organize vacations and trips. Our team consists of mountain guides, safari guides, drivers and a number of Tanzanians who know everything from this country. 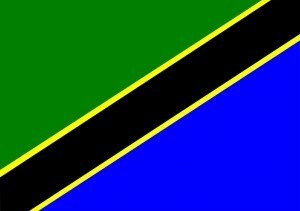 Tanzania is a large republic in East Africa. It consists of the original Tanganyika and the beautiful islands of Pemba and Zanzibar (originally known as Unguja). This country is independent in eastern Africa. It was inhabited two million years ago hominids. The population is 43,739,051 inhabitants (officially count number 2009). The language is Swahili. Dar es Salaam is the capital. The official language is Swahili: Jamhuri ya Muungano wa. It is a United Republic. The official language is the (Ki) Swahili. Besides Swahili become more tribal languages spoken. Many Tanzanians also also speak English. In many places you can then also without any problem with the English language correctly. The so-called Mafia archipelago is formed by fifty kilometer long island of Mafia, twelve smaller islands and lots of coral rocks. This country is bordered on the north of Kenya (769 km) and Uganda (396 km), on the south by Mozambique (756 km), Malawi (475 km) and Zambia (338 km) and in the west by the Democratic Republic of Congo ( 459 km), Rwanda (217 km) and Burundi (451 km). The country is bordered on the east by the Indian Ocean and the other borders of Tanzania consist mainly of water and sea in the western Lake Tanganyika, in northwestern Lake Victoria and southwest Lake Malawi, and formed the border with Mozambique by the River Rovuma. The total area of is no less than 945 087 km2 and is approximately 22.5 times larger than the Netherlands or as big as Germany, France and Belgium together. It is also by far the largest country in East Africa. The main north-south distance (Moshi-Songea) exceeds 1,300 kilometers, the largest east-west distance (Dar es Salaam-Kigoma) exceeds 1,600 kilometers. It is a republic with a federal structure (Tanganyika and Zanzibar). The president, who is elected for five years and only once re-elected, often coming from the mainland. The first vice president is the Prime Minister of Zanzibar, the second vice president is then prime minister of the federal government. The mainland has a very varied landscape. Very important is the Great Rift Valley or Great Rift Valley, which originates in Turkey and flows through the Dead and Red Sea to Ethiopia and splits into an eastern and western Valley. The western arm of the rift valley comes through Uganda to Tanzania; the eastern arm comes through Kenya into Tanzania. After the arms Rift leave they come together again in Malawi and both finishing off the coast of Mozambique. The total length of the Great Rift Valley is very large and is no less than 9700 kilometers. As a result of the onset of the Great Rift Valley also arose several large lakes including Lake Tanganyika, Lake Natro and Lake Manyara, which at 1430 meters depth by far the lowest point of Africa. Many large and small rivers that are not navigable, however. A number of rivers mouth in salt lakes; the Pangani, Ruvu, Rufiji and Rovuma flow into the Indian Ocean; Kagera in the Mediterranean and the Malagarasi in the Atlantic. The many rivers and lakes have the most surface of all countries in Africa. Due to the many volcanoes on the border with Kenya, Africa’s highest mountain, Mount Kilimanjaro (5,895 meters) was produced. The republic still has one working (stratovolcano) volcano in the north at Lake Natron, the Ol Doinyo Lengai, literally ‘Mountain of God’. The Ol Doinyo Lengai mountain is 2890 meters high and had volcanic eruptions in 1917, 1926, 1940 and the years 1966-67. Since 1983, the crater is filled with lava again. Mount Meruin is the fifth highest mountain on the African continent. Tanzania also has a fairly narrow coastal strip and a flat to slightly hilly central platform with an average altitude of 1,200 meters. The dominant landscape ia Savannah (Savannah Examples can be found in the Serengeti nature reserve); a landscape of mostly grassland and here and there a tree. Furthermore, the landscape consists of tropical forest and steppe. The Ambori Caves are the largest cave system with ten caves that provide access to a network of limestone tunnels. These tunnels are estimated to be 200 km long. The main caves are almost overwhelming thirteen meter high. Tanzania lies close to the equator and has a tropical climate with an average difference between the highest and lowest temperature of just five degrees. The coastal area is almost year-round hot and very humid with temperatures between 22 ° C and 30 ° C and a humidity between 75 and 80 percent porcent. In the mountainous areas, including the Kilimanjaro, Usambara Mountains and the northern and southern highlands, the temperature in the period May to August can go down up to 12 ° C. In the hill country even for regular frosts. The hottest time of year is generally October through February. The coolest period is the period June to October. In some places in the interior can be very hot and the temperature can reach up to more than 40 ° degrees Celsius. The influence of the prevailing monsoon winds have a major impact on the amount of rainfall. A large part of Tanzania has two rainy seasons: October and November with little rains and the period March to May with big rains (rain season). Precipitation varies enormously and is very irregularly distributed across the country. Every year, after the rainy season, the landscape is beautiful green again. The average rainfall is about 750 mm per year. There are also areas where more than 1 250 mm falls, while in the dry areas, especially around the Central Plateau, remains 500 mm annual precipitation. The Central Plateau has only one rainy season, between the months of December and May. Lake Victoria is named after the explorer John Hanning Speke. The explorer saw in 1858 as the first European to this lake and this lake named after Queen Victoria of England. The surface of Lake Victoria, the largest lake in Africa, is 69 485 km2 and the lake, making it about as big as Belgium and the Netherlands combined. The main north-south length is 337 km; the main east-west width of 240 km. The entire coastline is 3230 km. The lake is surrounded by Kenya, Uganda and Tanzania. This lake is located more than 1,100 meters above sea level and is at the deepest point about 80 meters deep. Lake Victoria is a major source of the Nile River and is itself supplemented by rainwater and by three major rivers: the Kagera, Mara and Katonga. In the lake are also dozens of islands, Ukerewe is the largest and also the tourist site unknown Rubondo Island National Park. In this park survives the sitatunga, a type of antelope anywhere else in the world, unfortunately, hardly occurs. At the lake are a few major ports: Musoma, Bukoba, and Mwanz. Lake Victoria is the second largest freshwater lake in the world. 50 years ago was 80% of the fish population in the lake from zogenaamnde cichlids, which now is only 1%. Many of the 200 endemic cichlid species have been eaten by the Nile Perch and also marked the dumping of chemical waste and the reduction of oxygen in the water have unfortunately led to widespread fish kills. Lake Tanganyika is 1560 meters deep is the second deepest lake in the world. Lake Baikal in Russia (1638 meters) is the deepest lake in the world. Lake Tanganyika are an estimated thousand especially many endemic species of fish in this huge lake. Kigoma is by far the largest city along the shores. 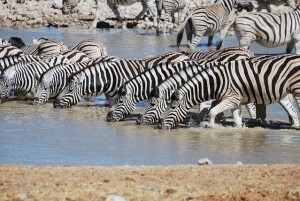 Just above the town lies the Gombe Stream Natuional Park, with 52 km2 Tanzania’s smallest national park. The park is known by the chimpanzee research project of Jane Goodall.